As one of the biggest cities in Texas, Houston is an incredible place to live and visit. With an impressive skyline and a lot of history behind it, the city is well known for various monuments and museums, as well as the thriving Theater District. Live music, musicals, and shows are highly popular in Houston, but the city also has a growing reputation as a good place in Texas to see comedy shows too. If you're looking to catch a comedy show in Houston and enjoy some big laughs for yourself, you need to know where to start. Unlike the Theater District, Houston doesn't exactly have a Comedy District just yet, but there are several key locations around the city for comedy enthusiasts to check out. Featuring a variety of local and world-famous acts, Houston Improv is part of a national comedy chain that has enjoyed a lot of success. Open mic night veteran Ali Siddiq performs here and hosts the Comedy Junkies event each week and any big comedians coming to Houston will usually get booked at this location, so it's arguably the city's number one spot for top class comedy. 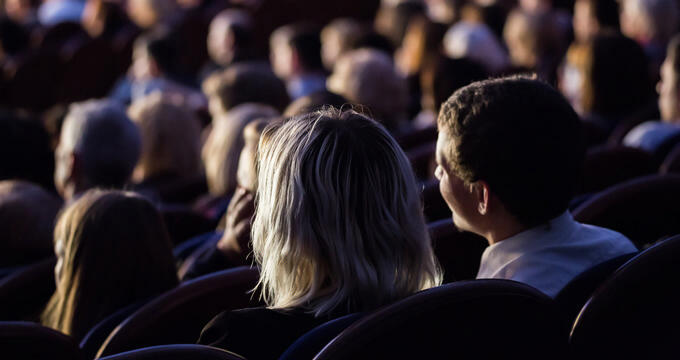 Whether you’re looking to catch a comedy show of a legendary star or simply check out some aspiring local talent, Improv Houston is the place to be. Regarded as Houston's home of long form improv, the Station Theater is a great spot for all kinds of comedy. The annual Trill Comedy Festival is held at this location and is one of the hottest comedy show events in all of Houston, and six comedy shows are also held here each and every week. Ticket prices are very low and guests are allowed to follow a BYOB policy. Improv classes and introductions are also held at this location regularly, with newcomers warmly welcomed into the theater and encouraged to test out their skills in front of a live audience. For top quality improv, sketch, and stand-up comedy, the Station Theater is one of Houston’s prime destinations. If you're looking for a cozy, comfortable setting for a night of great comedy, the Joke Joint Comedy Showcase on Fuqua Street is another of Houston's top locations. Great comedy acts from all around the country perform at this location on a regular basis and every Wednesday is open mic night, encouraging local aspiring comedians to test out their material or try their hand at improv comedy. Free weekly comedy show workshops are also held at the Joke Joint Comedy Showcase and the venue boasts some great food and drinks too. ComedySportz is a growing comedy show chain with various clubs and locations all around the US, including one in Houston. This comedy show brings together the joys of comedy with the fun and competition of a game show, pitting teams of comedians against each other in a laugh-a-minute clash of wits. Audience members can get fully involved in the shows, challenging comedians to come up with scenes, songs, sketches, and gags on the spot. Only one team can walk away as the winners but everyone who attends is guaranteed to have a hilarious evening. If you're looking for urban underground comedy in Houston, The Secret Group is the place to be. This dark, intimate location has generated a lot of hype in recent years and is a big hit with local talents. Comedy game shows, open mic nights, political satire, and all sorts of special comedy show events are held each and every week at this comedy club. Tickets are often free or very cheap and there's always a great atmosphere and good times guaranteed at The Secret Group.